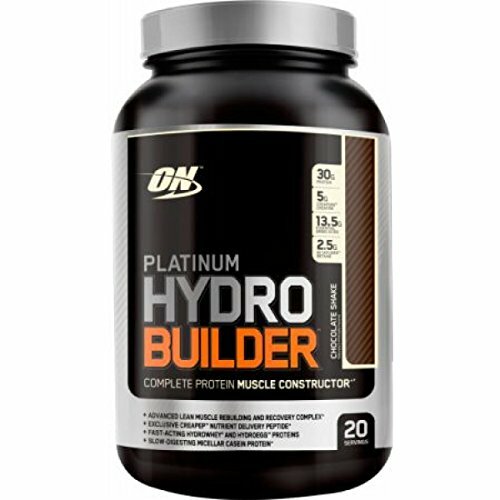 Both Hydrobuilder and HydroWhey are Optimum Nutrition’s top-of-the-range whey supplements; however, if you look closely, Hydrobuilder only looks like a nuanced version of HydroWhey. 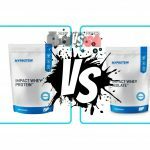 Hydrobuilder and HydroWhey aren’t each other’s substitutes but in fact, two different supplements to be used in two different situations. If you have gone through the table, you could notice that not only Hydrobuilder has more calories but includes more ingredients which make it more than just a post-workout supplement. 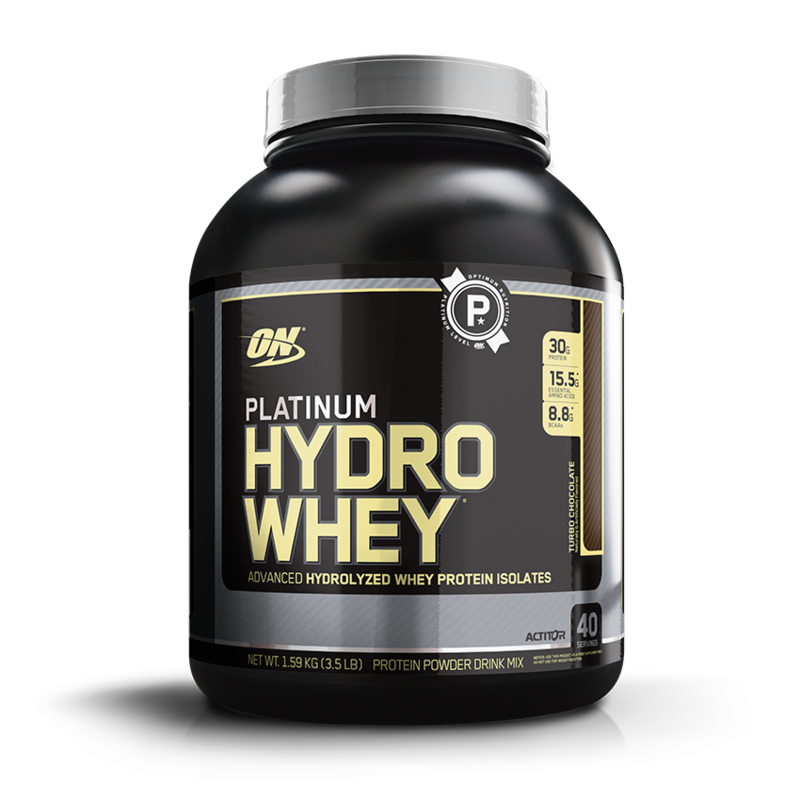 While HydroWhey is 100 percent hydrolyzed whey protein isolate that quickly absorbs into the bloodstream, so a perfect post-workout shake with the premium quality of Optimum Nutrition. But take that better ingredients on Hydrobuilder come at a premium price. The protein blend of Hydrobuilder includes both slow and fast absorbing proteins (hydrolyzed whey isolates, hydrolyzed egg albumen, whey concentrate, and casein) ensuring that your body never runs out of its stock of protein. For a premium whey supplement, Hydrobuilder could have really skipped the whey concentrate from its ingredients. 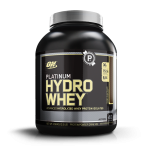 However, if you are someone who has been using whey powders from some time now, you could easily know why Hydrobuilder uses a blend. For those who haven’t figured it out yet, the blend offers a time release, with hydrolyzed isolates getting into bloodstream right away while casein taking its usual time to breakdown. But it’s not just the protein profiles that vary on the two whey supplements! The other major difference comes through the addition of 5g of creatine and 2.5g of betaine on Hydrobuilder, but HydroWhey doesn’t have either of it. Creatine has been known to improve the muscle endurance while betaine has been well recognized for improving workouts. There are a few other minor differences, like how Hydrobuilder has 2g of amino acids (too less, honestly) and more carbohydrates (6g more per scoop/2g on HydroWhey). But the question is, why Betaine or creatine. And whether these two ingredients would make any difference. Well, yes, I must say that they do make a lot of difference as they are clinically proven to improve performance during rigorous training sessions. If you like to work hard in the gym, then creatine and betaine are must-haves. The numerous studies corroborate different benefits of betaine. Like a study involving 12 participants looked at the effects of betaine on performance measures. At the end of the study, it was concluded that betaine does help with increasing power in selective performance measures. Another study looked at the same aspect of betaine and found out that betaine provided significant improvements in the numbers of squats performed but hardly provided any improvements in the bench press exercise (selective performance measures). Other studies have even stated the fatigue-reducing benefits of betaine. 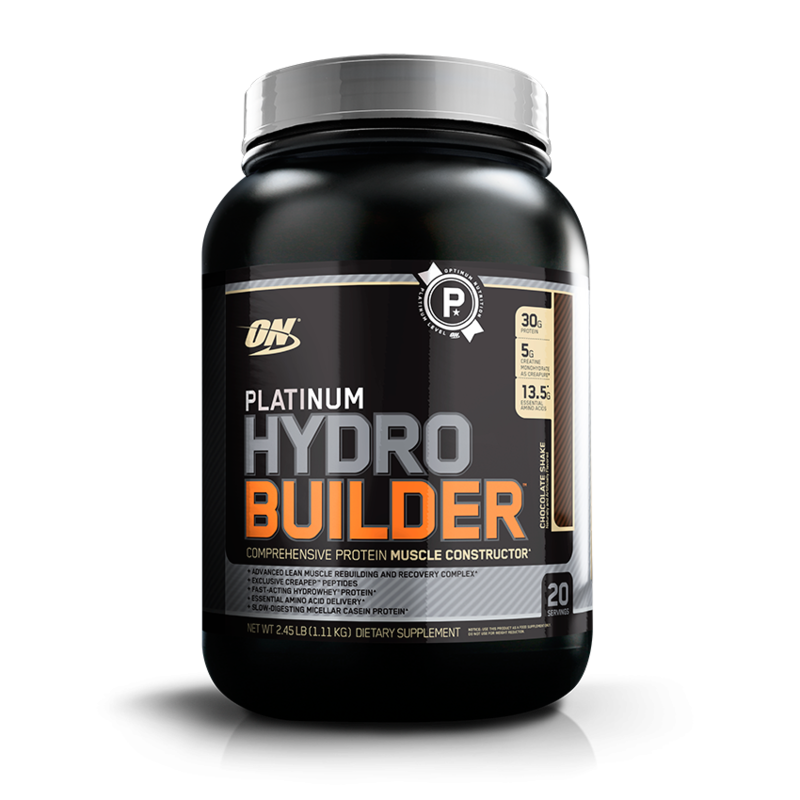 Considering there are many people who want to know whether the hydrobuilder or HydroWhey is the right choice for them, I would say that go for both if you love Optimum Nutrition. 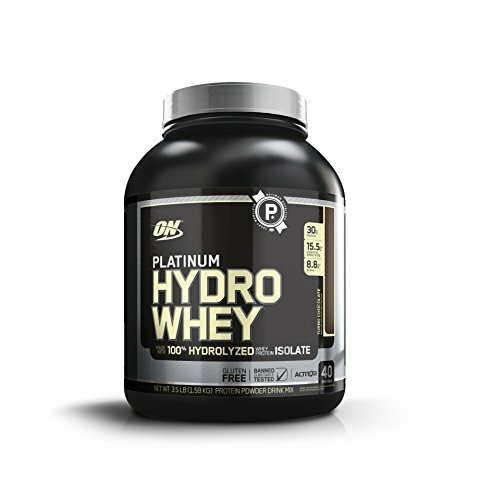 For someone who has experimented with every new supplements in the market, I could easily say that Optimum Nutrition provides the best quality whey supplements. While their other performance enhancements supplements are just okay, I have time and again concluded how ON has always been better due to its thick, delicious shakes. 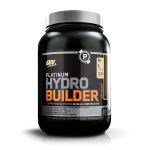 Hydrobuilder is only available in chocolate and Vanilla flavors and I would highly recommend you not to try vanilla unless you plan onto to use milk (chocolate tastes better both with or without milk). Coming to the point where I said I would go with both, I have already cleared it out above that these two whey powders aren’t each other’s substitutes. They both serve their own special purpose: Hydrobuilder as an all-day supplement while HydroWhey a post-workout protein supplement only. Are there other substitutes available? Obviously, the supplement market is aggrandized and flooded so you can always find something probably cheaper and better. However, one thing that I have learned is that your supplement should be delicious so it could be downed easily. I once had an experience of buying a Vanilla-ice cream whey powder from ON and it turned out horrible. Since then, I have stopped experimenting with these supplements don’t come cheap. But guess what? 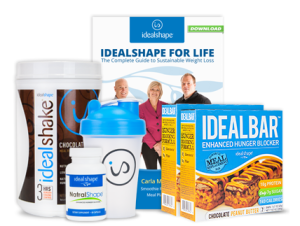 You can keep looking until you find your perfect supplement. How would I rate the two supplements? 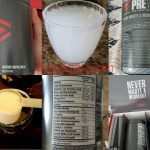 Hydrolyzed whey isolate is expensive than non-hydrolyzed form; one reason why these supplements are expensive than other whey powders available. For me, the price is just right on both of them when you buy the 40 servings pack of Hydrobuilder especially if you can get your hands on some good deal. The 40-serving pack is available for around $50, making the per serving cost of $1.25. 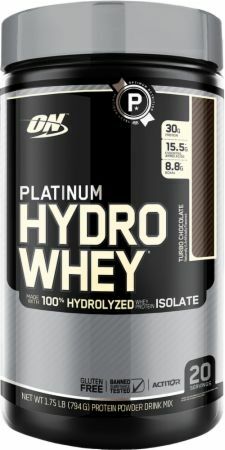 HydroWhey is another good deal breaker, coming just around $40 for 40-serving pack [kindly confirm the prices on your end as I found too much disparity in the prices]. 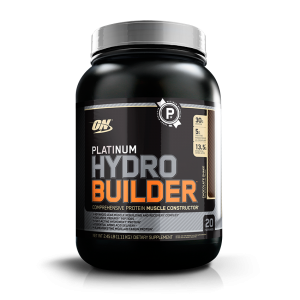 All I could simply say is go for Hydrobuilder if you are after some big gains in the gym. But if you want to stay more on the leaner end, try using hydro whey only while supplementing your body with essential amino acids, vitamins and mineral separately (to avoid consuming too much sugar). Hopefully, this review will help you make a decision.